Your Money: The Missing Manual is a nice overview from J.D. Roth who developed my old favorite money blog, Get Rich Slowly. Unfortunately, GRS has been totally reworked by the firm that acquired it and isn’t very good anymore. JD currently works on moneyboss which is a great site. Perhaps a good place to start. Ramit Sethi has a very good book on money as well. It’s called I Will Teach You To Be Rich and focuses on building an automated system. The name is tool-ish but the content is really practical. Bert Whitehead, who started the financial planning organization I am a part of (ACP) and has really useful book which explains his approach to building a good financial life. Helaine Olen (my favorite financial advice writer) wrote a book with Harold Pollock (of the University of Chicago) about the core tenets of financial behavior called The Index Card. The idea is that all the key information you need to know can fit on an index card. The canonical book on investing is Burton Malkiel’s A Random Walk Down Wall Street. It is a bit less practical but very interesting/intellectually fulfilling and the most important and forceful single argument in the the movement criticizing active mutual funds and the fees they charge. Millionaire Next Door is a great book that looks at the lives of millionaires and shows that they usually aren’t opulent and part of why they are wealthy is that they tend to be practical and rather frugal. The main lesson is that people who look “rich” typically aren’t. Perhaps the best-known highest-impact guy in the personal finance world is a radio show host named Dave Ramsey–his show is a lot of fun. His main focus is on avoiding debt (a view I only endorse for some people). His projections about stock returns aren’t well-grounded in evidence but lots of people find his work helpful. His main book is well regarded in the field. Another very well-regarded in the field is John Boggle’s book on mutual fund investing. I am a big fan of his and curious to know what you think if you read it. 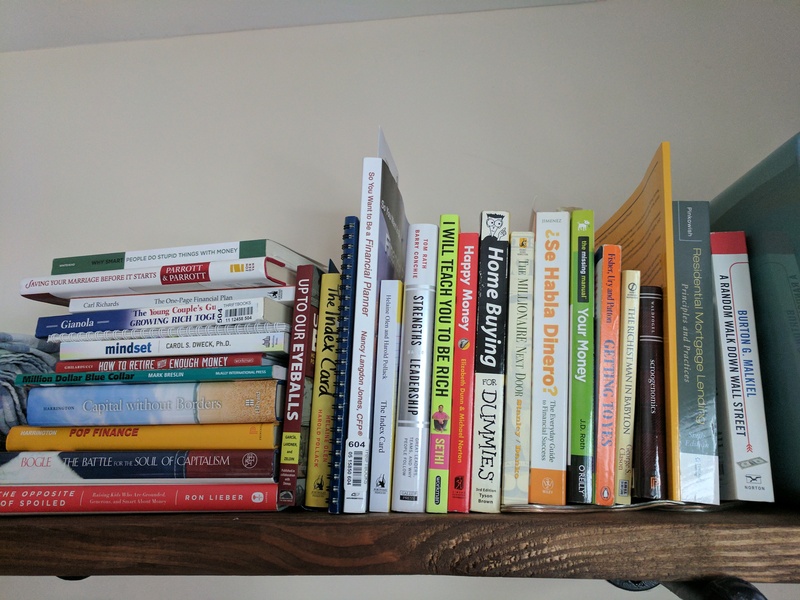 There isn’t a good basic intro book that also covers social issues in money management (noDAPL, socially responsible investment approaches and pitfalls, etc). Perhaps there will be someday. By Zach Teutsch|2018-02-21T20:29:00-05:00May 30th, 2017|Uncategorized|Comments Off on What to read?